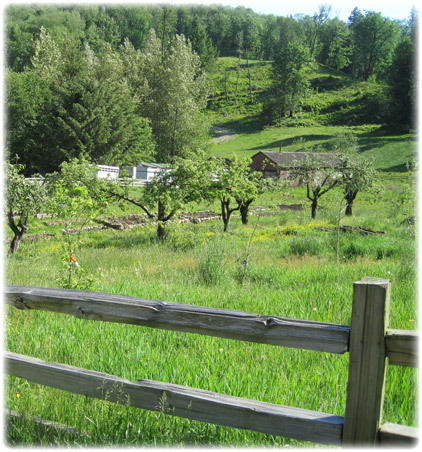 Sumas Mountain Farms - Blog - Why organic farms are the best way to increase "green space"
Why organic farms are the best way to increase "green space"
Metro-Vancouver's expensive land-acquisitions throughout the Lower Mainland have been in the news recently. It turns out they've been buying-up hundreds of acres (for millions of tax-payer dollars) as part of a program to preserve and promote "green space". They've even been acquiring vast swaths of land all the way out here in Abbotsford, much of which they intend to leave as undeveloped bush. Naturally, some people are asking the question "Is this a sensible strategy? Does it make sense for City governments to use tax-money to acquire large tracts of land to increase green space?" While we all love parks, they are expensive to build and operate. It's been reported that Metro-Van doesn't nearly have enough money to even maintain the parklands they've already got. Yet they have plans to spend hundreds of millions to buy even more land in the decades to come, even though they acknowledge they don't know where the money will come from. One of the ways they justify buying all this land is to point to the economic value that the community receives from bushlands, wetlands, marshes and the like. They point to things like climate regulation, water filtration, recreational uses, air quality, and so on. They assign best-estimate dollar values to these benefits, and use that to justify the land acquisition. To calculate the benefits, they rely on data provided from various sources including David Suzuki's foundation, which recently completed a study "Natural Capital in BC's Lower Mainland – Valuing the Benefits from Nature." In the study, Suzuki's people point out that the economic value to the community of things like wetlands, grasslands, shrublands and marshes is $7,674 per acre ($18,957 per hectare). That sounds pretty valuable, I would agree. 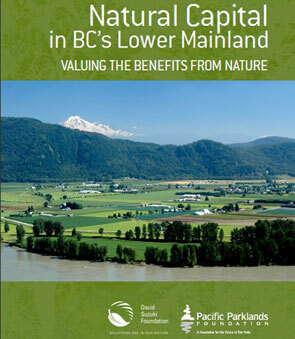 But Suzuki's report goes on to point out that a 2007 study conducted by the BC Ministry of Agriculture and Lands found that the value of public benefits and ecological services provided by farmland in the central Fraser Valley is $29,490 per acre. Suzuki also goes on to point out that another study released by the Ministry (this one carried out in 2009) estimates the value of public benefits and ecological services of farmland in the Metro-Van area at $58,000 per acre --- again, far surpassing other potential uses of the land. In other words, according to Suzuki's report, the public benefits which flow from farmland are far greater than the public benefits from wetlands, shrublands, marshes, etc. Further, Suzuki's report goes on to say that "...the total economic value of organic farmland is greater than conventional land." In other words, one of the best ways to preserve and promote "green space" while simultaneously providing the most benefits to the community is through organic farmland. And so my question is this: Why doesn't Metro-Vancouver be consistent and use all of Suzuki's report, not just the parts they like? If they want to be consistent with their own methodology, they'll scale-back their massive Parks Master-plan and instead focus on encouraging local, organic family farms. Their own data demonstrates that organic farms provide more "green" value to the community than bogs, marshes, swamps, wetlands, and even forests.